CN#44169-437 was built in 1953 for SAS as OY-KMU "Gorm Viking". 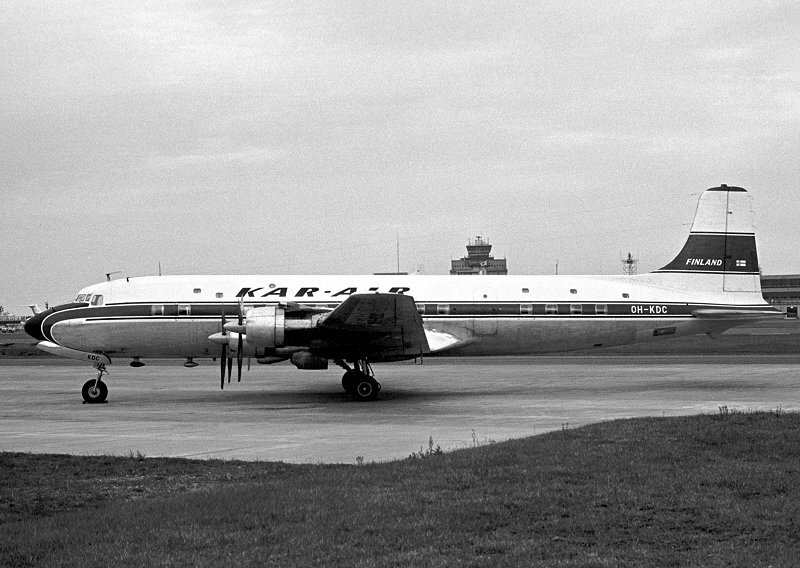 Aircraft was leased to Thai Airways International as HS-KMU, to Kar-Air as OH-KDC in 1966. Aircraft was W/O in 1974 in Deume (Antwerp). 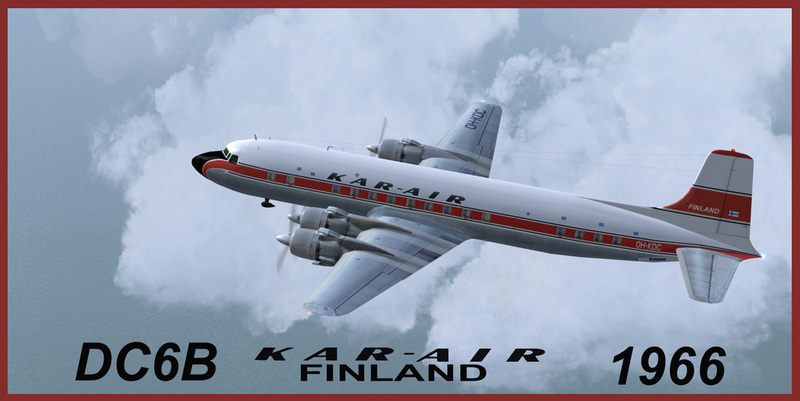 Aircraft model has mapping issues where tail fin joins the fuselage, livery adjusted.